Exploring Hangzhou is like walking through a Chinese watercolour painting, enchantingly brought to life. The capital of China during the Southern Song Dynasty (1127-1279), Hangzhou’s willow-fringed West Lake and mist-laced tea mountains dotted with ancient pagodas have enthralled generations of emperors, poets, artists and philosophers. 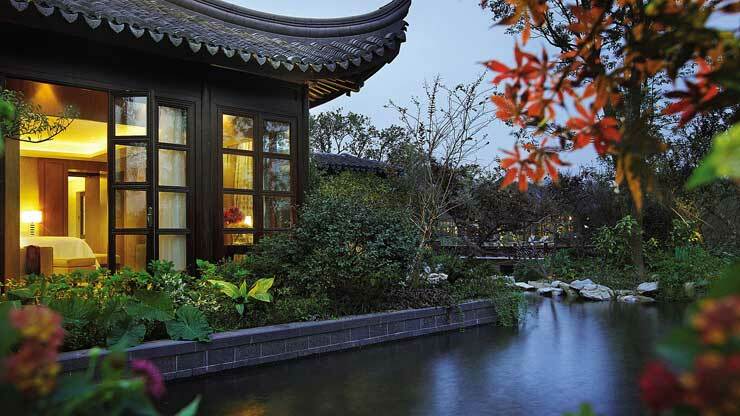 Sitting right on the banks of Hangzhou’s famed West Lake – a UNESCO World Heritage site – Four Seasons Hotel Hangzhou at West Lake is a charming microcosm of Hangzhou’s resplendent history, enriched with 21st century luxury and genuine hospitality. 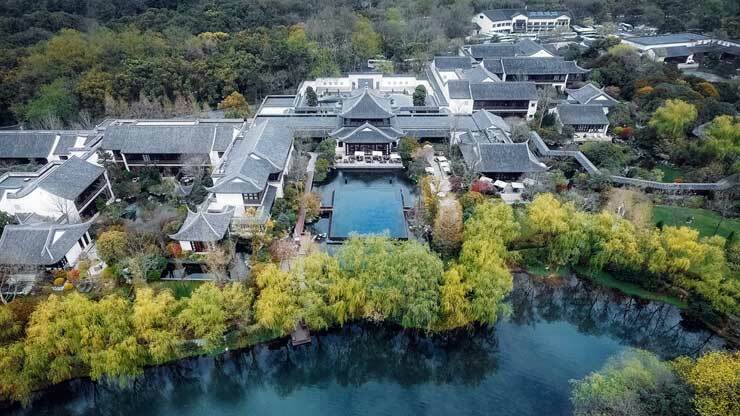 Guests at Four Seasons Hotel Hangzhou at West Lake will find themselves in their own exclusive Chinese retreat fit for an emperor and empress. 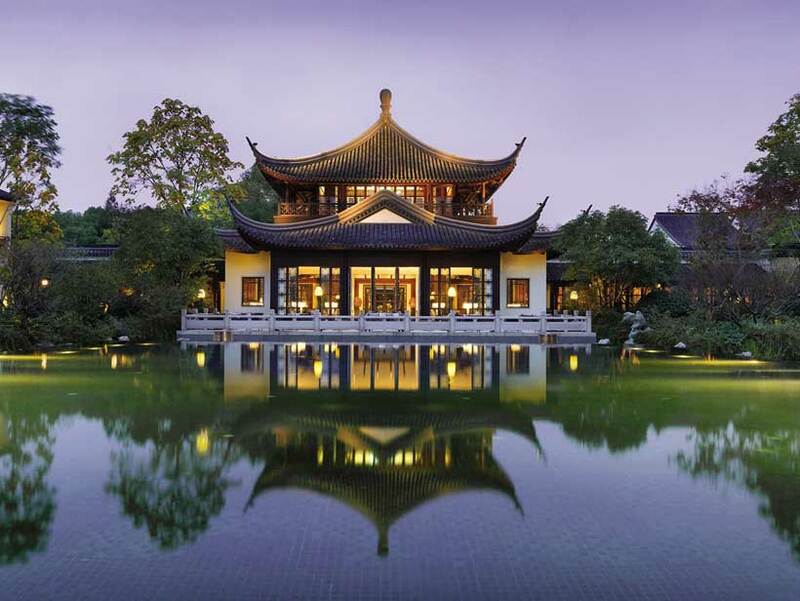 The entire resort is inspired by classic architecture from southeast China, giving guests an awe-inspiring insight into the privileged lifestyles of Hangzhou’s ancient literati. Southeast China architecture style whitewashed buildings topped with dramatic grey-tiled, wing-tipped roofs can be seen throughout Hangzhou. The masterfully crafted rooflines are also a signature feature of Four Seasons Hotel Hangzhou at West Lake, where they appear both flamboyant and calmingly aen like. They are equally delightful when viewed from within – cast your eyes up to the soaring ceilings to appreciate the timeless beauty of the exposed interlocking dark-wood beams that have been hand-crafted according to traditional techniques. 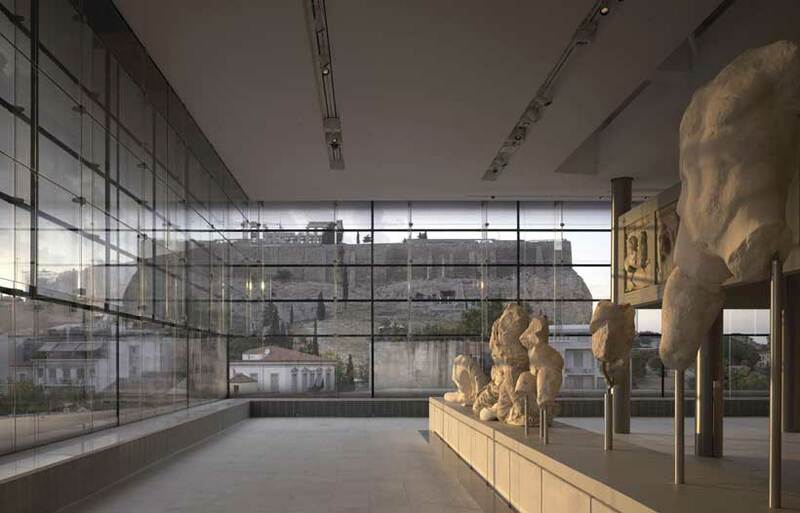 The layout of the Hotel follows traditional Chinese courtyard design and feng shui philosophy, where symmetry is key. Guests enter into a grand central pavilion overlooking the lakefront infinity pool and gardens. Residential wings extend on either side leading to the guest rooms, restaurants and wellness facilities, intermingled with gardens, rockeries, streams and waterfalls to create a restorative sense of intimacy with nature. Many rooms open out to their own terrace conservatory with views of the lake, gardens and forest glades. The pinnacle of the resort design is its landscaped grounds edging West Lake. As Hangzhou’s most famous attraction, it’s a rare privilege to be able to enjoy your own private slice of the legendary lake. The stunning water gardens embrace the central outdoor infinity pool and lawns leading directly to the lake shore and jetty. Linking indoors and outdoors is the Hotel’s signature serpentine covered walkway through lush glades planted with willow, pine, maple and bamboo. It took Chinese artisans to carve the intricate lattice beams and hand-paint the colourful traditional designs on the interior roof of the walkway. 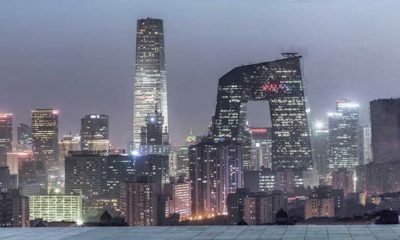 Wandering along the corridor feels like a portal to an age of indulgence, where guests connect with natural and simple pleasures in this unforgettable part of China.